Make no mistake, social media is an incredibly powerful platform through which fans have been able to readily communicate with game developers. Using Facebook and Twitter to drive kommunity engagement, the team at NetherRealm Studios have been able to accurately gauge consumer demand, allowing them to effectively provide content that fans desire. One online petition in particular garnered a lot of attention earlier this year, with a group of fans desperate to see the Earth elemental Tremor introduced as a fully-fledged kombatant in Mortal Kombat X. Guess what? NetherRealm Studios listened. Looking further back, petitions have seen the introduction of both Jason Voorhees and Predator to the latest title in the franchise, as well as Freddy Krueger back in Mortal Kombat (2011). We as Mortal Kombat fans would like to finally have a definitive book encompassing the Mortal Kombat Lore. Over the previous 20+ years, we have had a bunch of games and comic books, yet we have nothing like this. When your game is built around lore, you need something like this for your fan base. Marvel and DC comics both have various encyclopedias. Something like this would be vital for the old fan base and the new, and would be an essential collector’s item for every fan. We are petitioning you to make this happen, to make this a reality for all fans of the long running series. 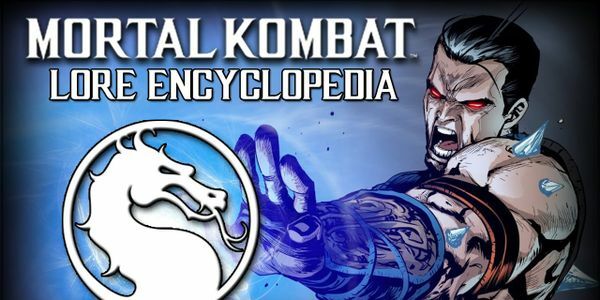 There’s no denying that a Kombatpedia would be an amazing item that no die-hard Mortal Kombat fan could do without. If you would like to help out, please take a moment to sign the petition. Also, be sure to follow the petition on Twitter for future updates. Let’s make this happen!